Lamenting The Loss Of Local Rock Radio Rock music on FM radio faces more competition than ever. With iPods, satellite radio and online streaming, many companies have given up on rock music to boost ratings and revenue. But former Chicago DJ Christine Pawlak says there will always be an important role for rock on the radio. Rock music on FM radio faces more competition than ever. With iPods, satellite radio and online streaming, many station owners have given up on rock music to boost ratings and revenue. But former Q101 Chicago DJ Christine Pawlak says there will always be an important role for rock on the radio — especially when played by DJs rooted in their communities, not voice-tracked elsewhere and piped in. In a piece she wrote for Slate, "We Won't Rock You," Pawlak says that, in spite of our many options for music listening, traditional radio has an advantage. "Technology will change," she writes. "The need to connect with each other through stories and songs won't." Pawlak stresses the importance of terrestrial radio in creating a sense of community specific to a place. She tells NPR's Brian Naylor that iPods and streaming radio aren't as universally accessible. Plus, she says, "There's something really wonderful about being able to share and experience with your community through local FM radio. Music is a great unifier." As a DJ known as Electra in Chicago, Pawlak says she functioned as sort of an "unconventional educator" during her shows, connecting listeners from various backgrounds with one another through the FM dial. 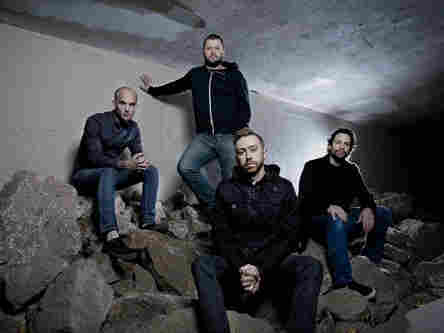 Plus, the Chicago-area bands she featured on "Local 101," including Rise Against, benefited from the exposure they got on her show. "It played a lot of bands that got their starts in small clubs, like the Fireside Bowl here in Chicago, and went on to the national stage," she says. As their national appeal grew, so too did their air time, in time slots outside "Local 101." Though she expresses nostalgia for lost stations like Q101, which still exists as an online-only "station," Pawlak sees a role for newer music technologies, combined with social networking on sites such as Twitter and Facebook. "Instead of fighting it," she says, "if we embrace it, we can make that local community connect on all kinds of different levels while still staying true to our local roots."